Every year, 18 million passengers pass through Helsinki Airport. Almost 2.5 million people live less than an hour from the airport. Aviapolis, the developing airport city that neighbours Helsinki Airport, is the perfect location for businesses and individuals operating internationally. Already, 1,900 businesses – almost 500 of which operate globally – are located in Aviapolis. The city currently employs 36,000 people, but its fast growth means that it has the potential to offer more than 50,000 jobs in the near future. “Of course, we cannot compete with Paris or London, but we don’t have to. 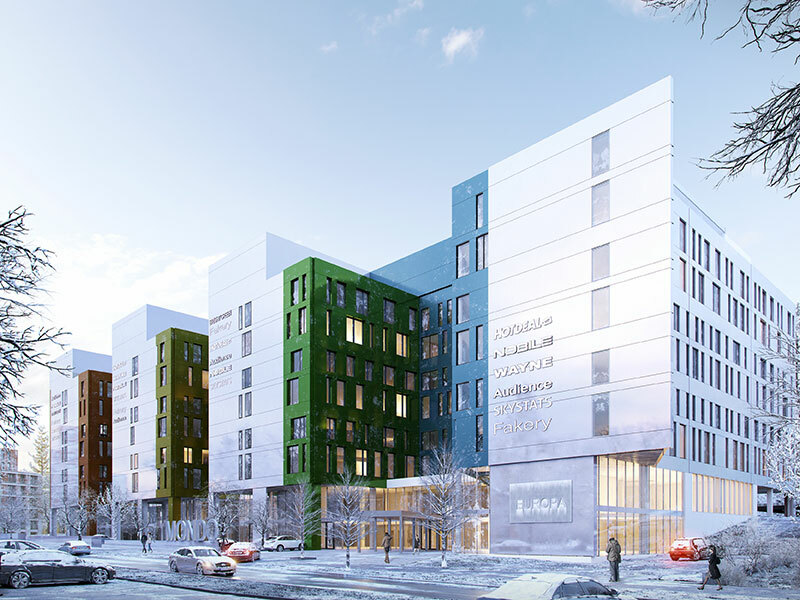 Aviapolis is not the biggest and not necessarily the most beautiful, but its accessibility to Asia and Western Europe is in a league of its own,” said José Valanta, Director of Business Development at the City of Vantaa. The airport has access to 135 destinations all over the world – more than many large Western European airports. In addition, Aviapolis is linked with the most important passenger and cargo port in Finland, and has immediate access to the Finnish railroad network and other public transport systems. Just 20 minutes separate Aviapolis, Finland’s second-biggest workplace area, and downtown Helsinki, its biggest. Airports have long been considered noisy and unpleasant places to live near. What’s more, the surroundings of Helsinki Airport have, until now, mostly been used for storage and logistics. But a new way of thinking is arising. Aviapolis is located in an aircraft-noise-free pocket, meaning it is suitable for working and living. With more residents and businesses joining the area each year, Aviapolis is set to become a lucrative location for international trade. The offices of Aviabulevardi I – completed in April 2016 – sold out fast, and in May 2017, Skanska CDF, the construction company working with Aviapolis, began constructing the new Aviabulevardi II office building. “Aviabulevardi II will be the second stage of the attractive office development. It will have about 8,000sq m of modern space in a unique spot near the airport and along the Ring Rail Line,” said Antti Nousiainen, Chief Operating Officer of Skanska CDF. Plans are also being made for NCC Property Development’s Mondo office project, which will comprise more than 42,000sq m of office space. “Mondo will be implemented in five stages, and it will offer businesses flexible premises, good transport connections and a visible location on the road to the airport. We are also investing in sustainable development and workplace wellbeing,” said Pertti Karlsson, Project Director of NCC Property Development. Travel and adventure services are also setting up shop in the airport city. The Break Sokos Hotel Flamingo is currently adding a new wing, making it the biggest hotel in Finland, with 539 rooms. In addition to Hotel Flamingo, there are six other hotels in the area. “Aviapolis is a showroom for entrepreneurs to display their expertise without prejudice. As such, Aviapolis has to be sustainable, global and vibrant,” said Arja Lukin, Project Director of Airport City Aviapolis. Aviapolis’ core goal is to be an urban, compact city in which people can live and work. By developing offices alongside residential areas, the two can mutually support each other. Aviapolis is a convenient and well-connected place for highly educated and mobile businesspeople to live and work. The aim is to make the area attractive to all kinds of people in the future.